Help. That word wasn’t really in my vocabulary for the longest time. I didn’t like anyone to know I needed help. I guess I saw it as a weakness. Now I know that’s just pride. When faced with something I had no idea how to tackle, I had no choice. I wanted to be free – really free, not just temporarily free or the free that comes from self-effort. I wanted to be Jesus-sets-you-free free. I’d done everything I knew to set myself free from some thought processes that were fueling life-dominating sins in my life, but it wasn’t working. I couldn’t do enough, even when that meant reading the Bible more or praying more or more church or more Bible studies. That was all good, but it wasn’t setting me free. And the Lord sent me Doris, a mentor who has walked with me into some very dark places to find truth and healing. Places where the light of Christ needed to expel darkness and lies. Places where Jesus already died to heal but I needed to learn to walk away from them in His freedom. Today I know help is not a word of weakness. It is a word of dependence. A word of trust. A word that connects us to Jesus and to others – others who have gone before us, others who are coming behind us, others who are in the trenches with us right now. Not in an unhealthy co-dependence but in a sweet life of living in dependence on Jesus and His love that flows through us to each other. 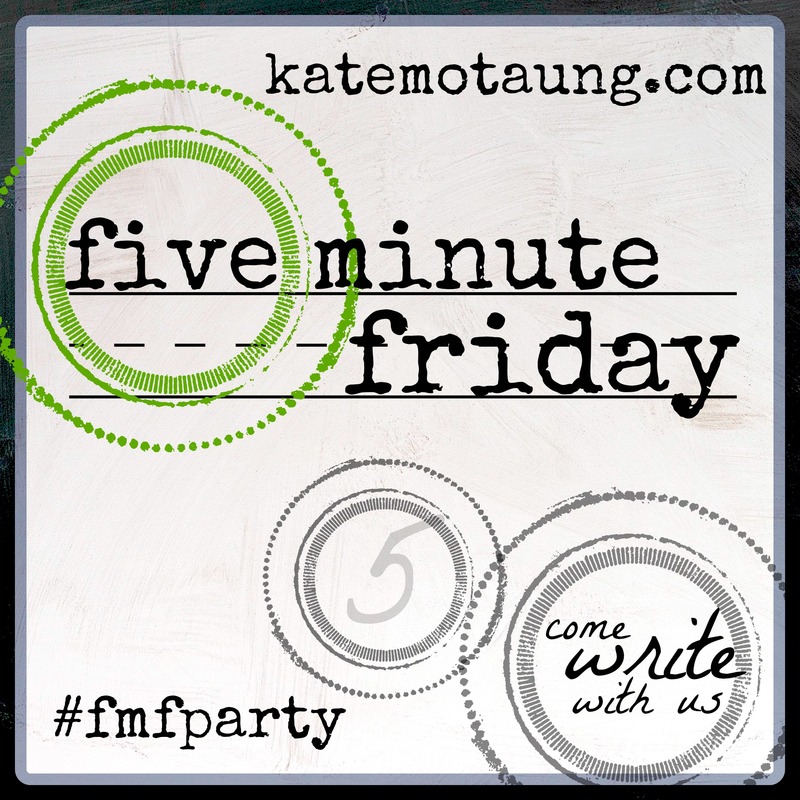 Join Five Minute Friday for even more encouragement on the word help! Great post, Shauna, and we all need a Doris…and to be a Doris…at some point in our lives. Well, gosh…instead of leaving the link to my FMF post I think I left a link to a Youtube video I sent my wife…cool video, but I am still an idiot. Andrew, that’s funny! I would totally do something like that! I love that you say we need a Doris and to be a Doris. Either is so much a part of being a part of the body of Christ, isn’t it? Thank you for pointing that out. And for the blog link. Going there now. Blessings! Hi Kristina! Thank you for stopping by! I too have a mentor who walks with me through so many of the areas where I desperately need help! The Lord has sent help even in the most private places where I struggle, and for that I am thankful. I love that you have a friendship now where you lean on one another. I find those friendships to be one of the richest parts of life on this earth. So glad to make your acquaintance here! Blessings! I love this! My post was on a similar theme. It took me a long time to learn to accept help but we do need one another and there is definitely freedom to be found in seeking help from God and other people. Hi Carly! Thank you for stopping by! I love that you bring in the freedom we experience in asking God and others for help. Going it alone is a very burdensome process, and I am so thankful the Lord is showing me how unnecessary that is. Blessings! Shauna, you focused on some aspects of “Help” that were in my mind but didn’t make into my post. I loved what you said here: “help is not a word of weakness. It is a word of dependence. A word of trust.” When we feel safe enough to ask for help, we’re choosing to depend on that person, and we’ll be more willing to ask for help if we’re willing to trust that person. It’s amazing how God interweaves all of these, isn’t it? Jeanne, thank you for stopping by and sharing your words. I do love how God interweaves our dependence on Him and others and blesses us in the process! The Lord is teaching me so much about this right now. Blessings!